Having just attended the Junction City Chamber of Commerce Annual Dinner last evening, Kendall and I are reminded of our incredibly successful Ribbon Cutting Event that took place over a year ago. We want to thank the community members who welcomed us to the Junction City Chamber of Commerce and Geary County Convention & Visitors Bureau on Wednesday February 26, 2014. We feel so loved to have had such a great turn-out on that day. Kendall had an opportunity to share a little bit about FroYo Junction’s journey, and how excited we are to be able to share our vision with Junction City. 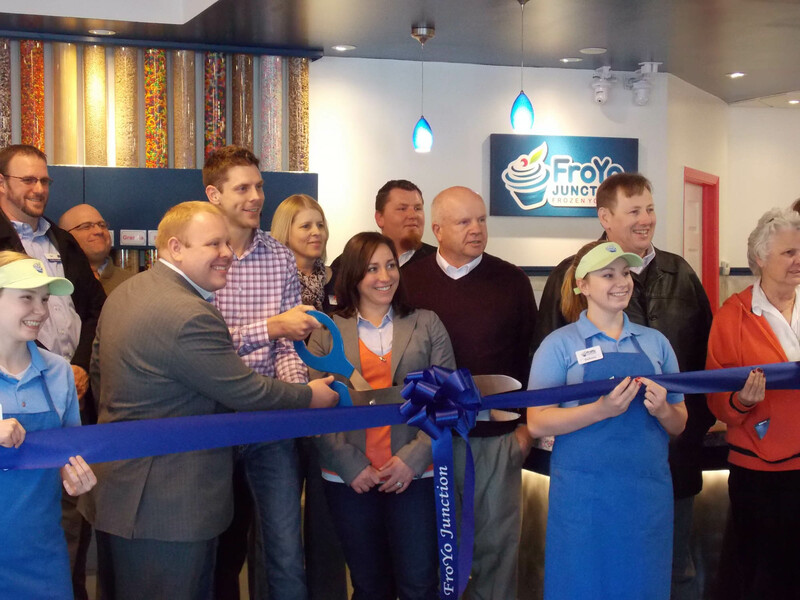 At FroYo Junction, our goal is to bring a delicious and locally unique product to our customers in a clean and family friendly environment. We want to provide a great experience to each individual from the moment they walk through the door that makes them want to come back for more. We want to thank each and every one of our customers and community supporters for the successful year that we have had, and we are enthusiastic for what lies ahead. 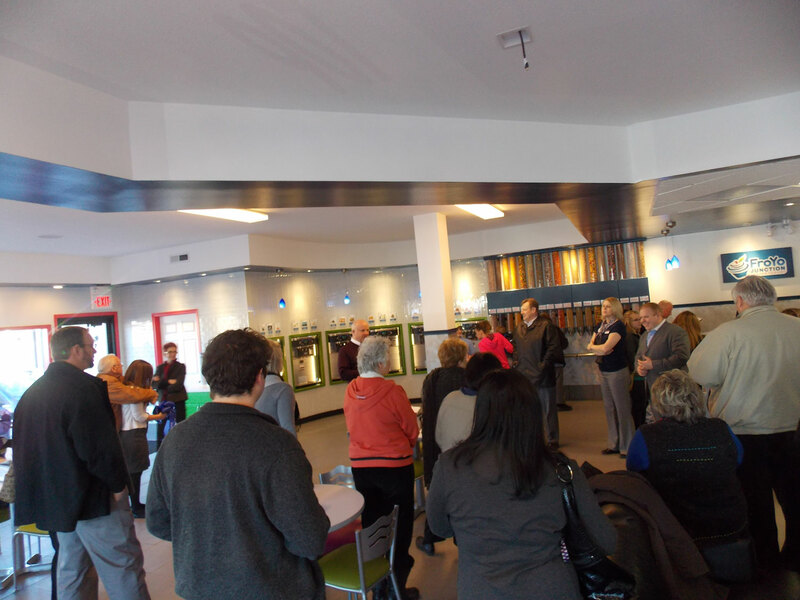 Learn more about hosting a birthday party at FroYo Junction. 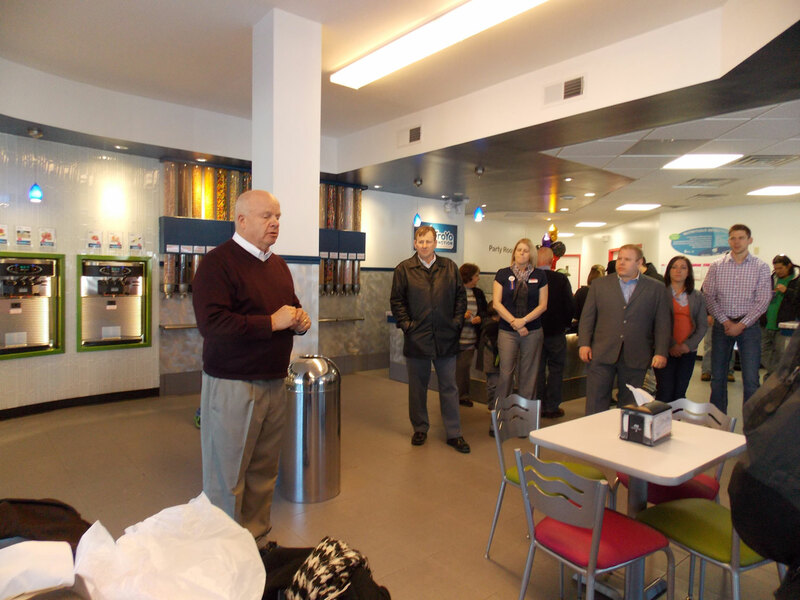 Read more about the differences between Frozen Yogurt and Ice Cream in Junction City, Kansas.